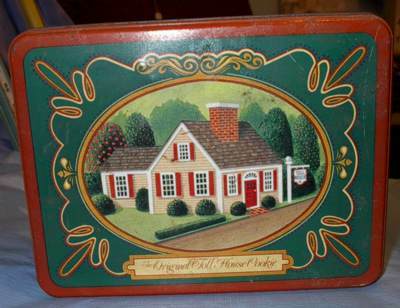 This Tin Box With House is an interesting tin made some time before ones with the BAR CODE. Not sure how much before time this was made. There are signs of age A few very small spots of rust.